Malaria experts from countries across Africa are meeting today at the 13th annual National Malaria Control Program (NMCP) Best Practice Sharing Workshop. in Tanzania. The gathering provides a platform to discuss and share knowledge and experiences, and to drive dialogue around improved health outcomes and access to quality antimalarial treatments for patients in Africa. Novartis is working in collaboration with the Global Fund, World Health Organization, the WorldWide Antimalarial Resistance Network, the Kenya Medical Research Institute-Wellcome Trust, Swiss Tropical and Public Health Institute, US Pharmacopeia, Populations Services International, Ifakara Health Institute, and the Pharmacy and Poisons Board. 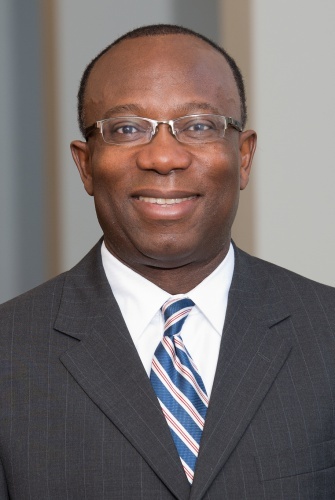 “These NMCP meetings have led to groundbreaking projects, such as the development of SMS for Life to improve anti-malarial stock management in rural health facilities,” said Dr. Linus Igwemezie (Photo – below), Head of the Novartis Malaria Initiative. The successful treatment of malaria depends on the public being informed about the risks of the disease, the importance of sleeping under insecticide treated bed nets, and having access to health services – including appropriate diagnostic tests and quality-assured anti-malarial treatments. Unfortunately, in some countries bed net utilization remains a challenge, while sub-standard anti-malarials and oral artemisinin monotherapies remain available, primarily through the private sector. These treatments may contain too little or no active ingredient, thereby putting patients’ lives at risk. Speaking on behalf of the WorldWide Anti-malarial Resistance Network, Dr. Ambrose Talisuna says: “It’s crucial that governments take urgent action to ensure patients are not put at risk of sub-standard treatments. Since the first workshop in 2006, groundbreaking projects have emerged, such as the SMS for Life program to support more efficient stock management in rural health facilities. Another key advancement was the development of Coartem® Dispersible, the first Artemisinin-based Combination Therapy (ACT), specifically tailored to infants and children, meeting the World Health Organization requirements for a paediatric anti-malarial medicine and which was developed in collaboration with Medicines for Malaria Venture.